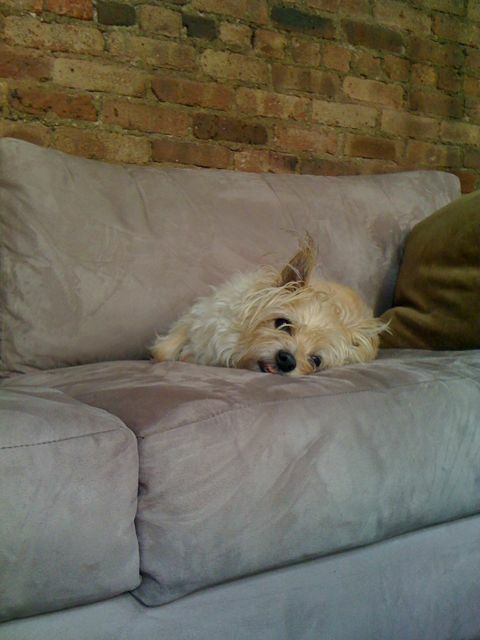 My dog birdy is a 12 year old cairn terrier who is golden, wheatish in color works beautifully with the interior of my apartment in manhattan which is primarily earthy neutral tones and white. She is harmonious in the space which makes her seem peaceful and serene. 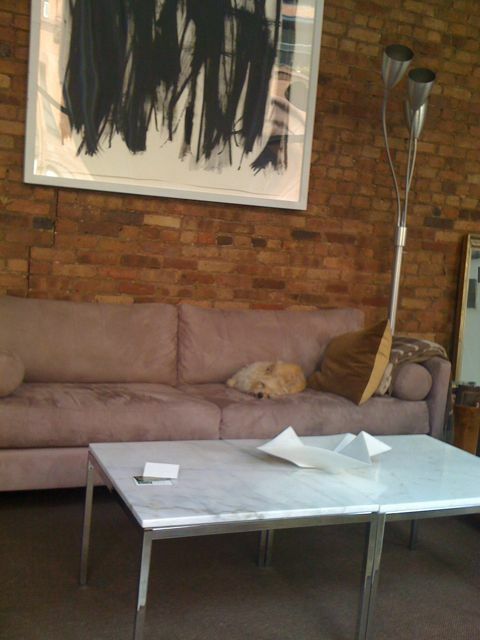 This is why we have white dogs – they go with everything! 🙂 And it is easy to find their hair everywhere.